Home FREE Avast Antivirus Software! We’ve been using Avast to protect our school network. It’s free for educational purposes, which also extends to our school community! Click the download button above to download a free license for your PC. 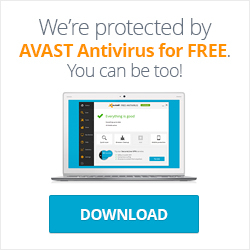 Avast is the world’s most-trusted antivirus software, with over 210 million users worldwide. It regularly ranks among the best by independent reviews and is the most popular on download.com and amazon.com.